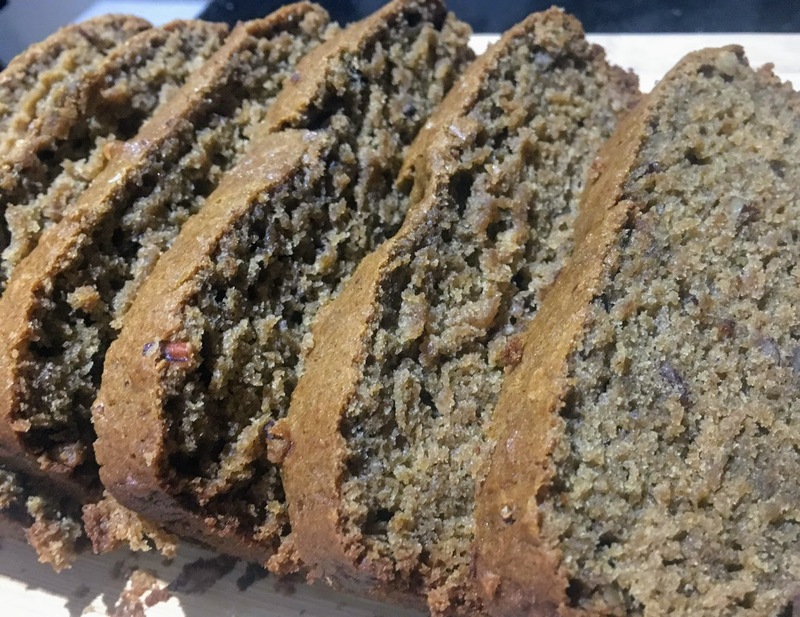 This is an autumn variation on banana bread, adapted from a recipe by Genius Kitchen, with apple butter (a thicker, longer-cooked version of apple sauce) in place of the bananas. I used a simple store-bought apple butter, with no added sugar or spices, but feel free to experiment with using a flavored homemade variety. 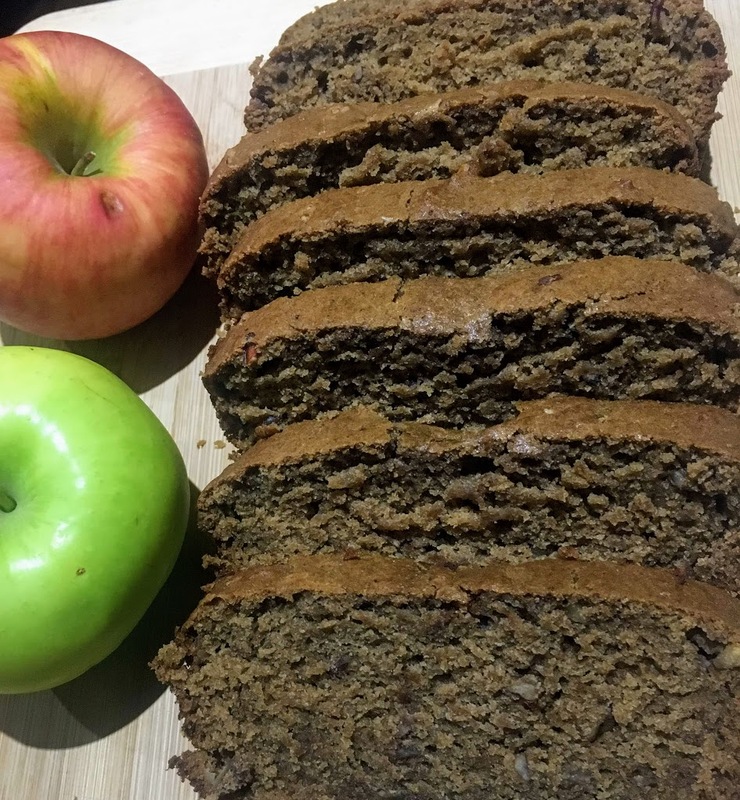 With butter and brown sugar as the main sources of moisture besides the apple butter, this loaf is rich and tender, somewhere between a cake and quick bread. Cinnamon and vanilla lend warmth, and pecans add crunch. Enjoy for dessert or as a decadent breakfast. Preheat oven to 350 degrees F and butter a 9 x 5 inch loaf pan or an 8 x 8 inch pan. In a small mixing bowl, combine flour, baking soda, cinnamon, and salt; set aside. In a large bowl, cream together butter and sugar until smooth. Stir in apple butter, egg, and vanilla. Add flour mixture, stirring until just combined. Add pecans. Spoon batter into prepared baking pan. Bake for around 50 minutes if using the 9 x 5 inch pan or around 35-40 minutes if using the 8 x 8 inch pan, until a fork or toothpick inserted into the middle of the loaf comes out clean. Set aside to cool, then remove from pan and slice. Store at room temperature in an airtight container.